A lovely A5 quote print, perfect for popping up on your wall with some pretty washy tape or framing up to hang on your gallery wall. 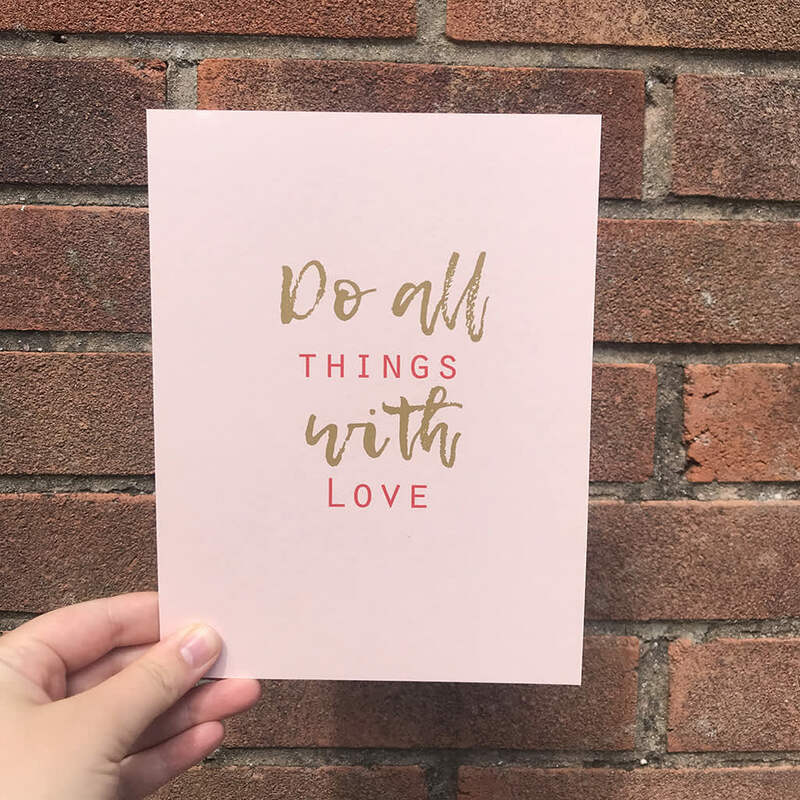 This print is a blush pink recycled card stock with a stunning hot red font and a golden colour. The quote reads 'Do all things with love'. Material: Thick recycled blush pink card. Care: Looks great framed up!